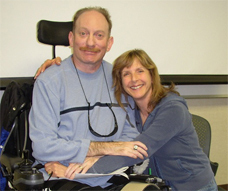 Ron Sidell worked in Information Technology for 17 years at a major Bay Area biotech company, until he became disabled by a rare disease that left him totally paralyzed and on a ventilator for a year. Ron is continuing his recovery and now gets around using a power wheelchair. He is working on an MS in mathematics at San Jose State University and is on the board of directors at the Valley Medical Center Foundation. Ron holds the titles of CEO, Executive Director, and Chairman of the Board at Ophoenix. Helen Nichols has an extensive background in finance and medical care, with experience both in laboratory and business operations. She received her BS and did masters work in chemistry at SFSU and worked as a researcher in industry. During Ron’s extensive hospital stay, Helen became an expert at dealing with both hospital and insurance related issues. 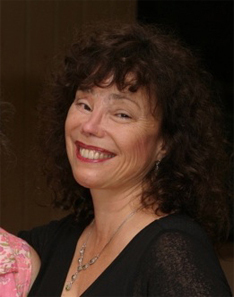 Helen is the CFO, Secretary, and Treasurer of Ophoenix. Melissa Moody has a background working with another Bay Area nonprofit organization and as a former patient. She survived and recovered from a traumatic brain injury (TBI), when she was crushed by an SUV in 1992. Now, after more than 30 reconstructive surgeries, Melissa is a movement and massage practitioner, a natural vision educator, and the Education and Development Director at a Bay Area nonprofit public benefit corporation. Peter Poullos, MD was six months into a gastroenterology fellowship when he suffered a cervical spinal cord injury while road biking. 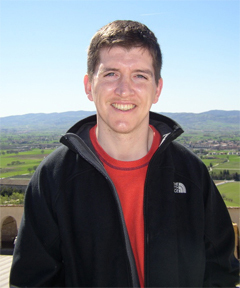 He is now retraining has a radiologist at Stanford University after completing over a year of intensive physical and occupational therapy. Peter Priel founded a San Francisco-based IT consulting business in 2000 out of a passion for technology and a desire to support the needs of local businesses. Peter has worked as an IT/IS specialist and manager for 15 years. Peter began his IT career working for Ron Sidell (then manager of the Network Services department at a major Bay Area biotech company). In 2000 he founded Tech House SF and in 2002 the business incorporated as Tierra Technology with the added assistance of his now wife and current business partner, Daphne Blumenthal. Presently, Peter Priel is CEO of Tierra Technology. The Ophoenix icon is a stylized drawing of a solar eclipse. After a disabling injury or illness, a person’s true self is often eclipsed or hidden by the visible aspects of their disability.